Hover over each part of the journey to learn more. Students learn more about themselves through assessments like the Thrively Strength Assessment or Multiple Intelligences (MIDAS). Then students are able to reflect on their strengths via Journals in their Digital Portfolios. Whether students are out solving real-world problems based on suggested Career Pathways, or they’re working together on Projects, hands-on learning helps create personal impact. Students can begin to discover their purpose in life through focused exploration into Career Pathways, bite-sized videos (Sparks), or Activities matched to their unique strengths and interests. Students can build upon their knowledge base by diving deep into Courses, Lessons and tailored Playlists (SEL, GATE, etc.) to enable success both in and outside the classroom. 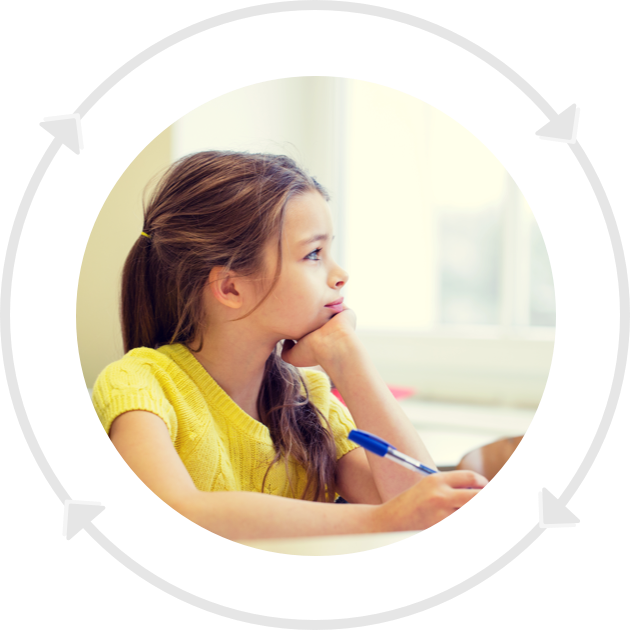 Guide your students through a student-centered journey to increase their self-awareness, set goals and track progress, build skills, and learn real-world problem solving.